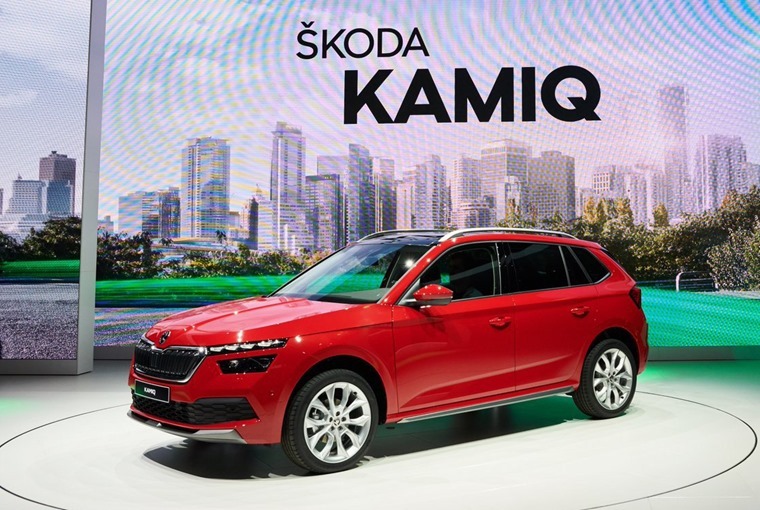 Combining the practicality of an SUV with the performance of a hatchback, the Skoda Kamiq has been unveiled at the Geneva Motor Show. Based on the Vision X concept shown at the 2018 Geneva Motor Show, it is the next step in the manufacturers already successful SUV campaign and takes styling cues from both the Karoq and Kodiaq to ensure a uniform look to the manufacturers SUV range. The word Kamiq comes from the language of the Inuit people living in northern Canada and Greenland – so it complements the Alaskan origins of the Kodiaq and Karoq nicely. Differentiating itself slightly from its two big brothers, the Kamiq has a more upright grille and optional narrow LED running lights as well as dynamic indicators which flash outward ala Audi’s recent models. Four engines will be available at launch. 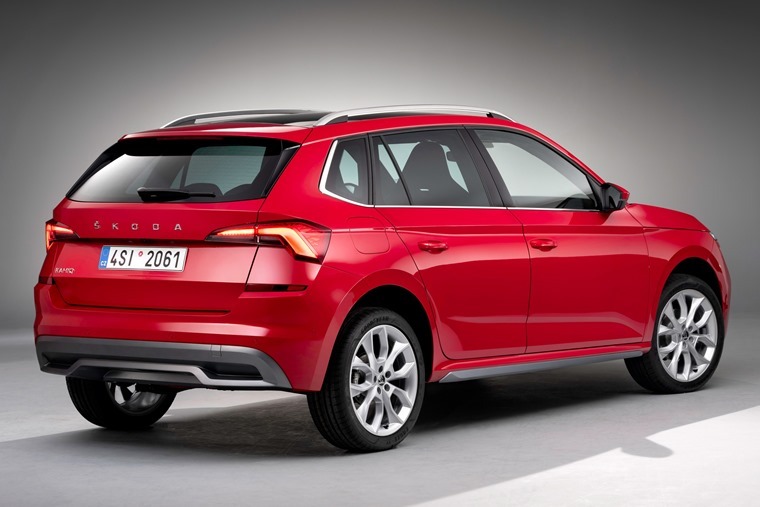 These include two 1.0 TSI petrols, with 94bhp and 113bhp, and a 1.5 TSI with 148bhp. A 1.6 TDI offers 113bhp. All are available with a choice of a six-speed manual or a seven-speed DSG gearbox as well as an optional Sport Chassis Control which sits the car 10mm lower for a more dynamic drive. On the inside, there’s the a 9.2in free-standing infotainment touchscreen, a 10.25in virtual cockpit and ambient lighting is offered in three colours. Other options include heated front and rear seats, as well as a variety of 'Simply Clever' features including a removable LED torch in the boot and door-edge protectors. The Kamiq will also offer a number of connected features and apps, including remote vehicle access, thanks to its permanent internet connection. The car comes with Front Assist and Lane Assist as standard, with optional safety features including Park Assist, Rear Traffic Alert and a rear-view camera. 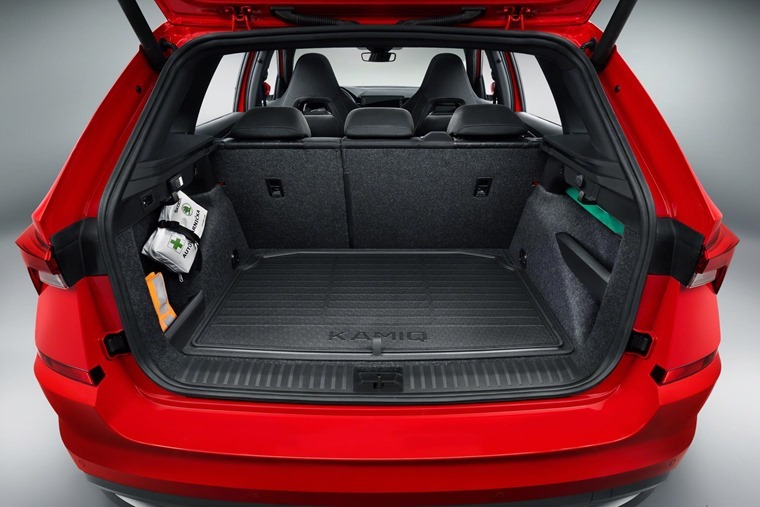 Despite being built on the same Volkswagen Group MQB A0 platform used by the Seat Arona and Volkswagen T-Cross, the Kamiq offers more interior space than both thanks to its slightly longer 2,651 mm wheelbase. The 400 litre boot capacity is identical to the Arona and can be accessed using an optional electric tailgate. It expands to 1395 litres with the rear seats folder. The Kamiq is expected to go on sale in the UK in the third quarter of 2019, presumably to coincide with the September plate change. And thus ends another painfully drawn out Skoda reveal.